Tag Archive | "Thomas Diagne"
Posted on 30 stycznia 2016. 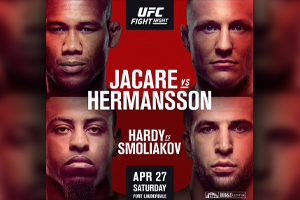 Tags: Amber Tackett, Andy Uhrich, Anthony Avila, Art Arciniega, Bellator, Bellator 148, Bellator 148: Koscheck vs. Secor, Carl Seumanutafa, Chris Honeycutt, Daley vs Uhrich, Eric Huggins, Eugene Cancino, fight24.pl, Ilima-Lei Macfarlane, Javy Ayala, Jermaine McDermott, John Reedy, Josh Koscheck, Josh San Diego, Justin Smitley, Koscheck vs Secor, Mark Dickman, Matt Perez, Matt Secor, mma, MMA INFO, MMA News, Nick Bustamante, Patricky Freire, Paul Bradley, Paul Daley, Paul Ruiz, Raphael Butler, Ryan Couture, Salvador Becerra, Thomas Diagne, Tony Johnson Jr.
Posted on 17 grudnia 2015. 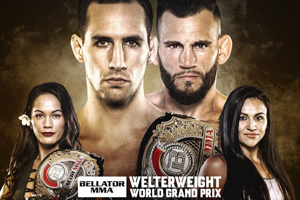 Tags: Amber Tackett, Andy Uhrich, Anthony Avila, Art Arciniega, Bellator, Bellator 148, Bellator 148: Koscheck vs. Secor, Carl Seumanutafa, Chris Honeycutt, Daley vs Uhrich, Eric Huggins, Eugene Cancino, fight24.pl, Ilima-Lei Macfarlane, Javy Ayala, Jermaine McDermott, John Reedy, Josh Koscheck, Josh San Diego, Justin Smitley, Koscheck vs Secor, Mark Dickman, Matt Perez, Matt Secor, mma, MMA INFO, MMA News, Nick Bustamante, Patricky Freire, Paul Bradley, Paul Daley, Paul Ruiz, Raphael Butler, Ryan Couture, Salvador Becerra, Thomas Diagne, Tony Johnson Jr.